Workshop spaces where people can work side by side on personal and community projects are growing fast around the country. Men’s Sheds are a great opportunity to share and learn new skills, enjoy new achievements and make new friends. Men’s Sheds, or Men in Sheds, are opening up at more than two a week across the UK. They are communal spaces where men (and sometimes women) gather to make friends as well as make things – anything from bird boxes to footbridges. They also meet up to mend and renovate, learn from each other and contribute to their communities. These workshops are created to generate a supportive, safe and welcoming environment. They are not necessarily sheds. In Maldon in Essex the Shed is a former mortuary, while in Bristol the group uses a sports pavilion. In Australia, the home of the Men’s Sheds, they are described as “half way between work and home”. As members of each Shed agree their own programme of activity, they vary greatly. Some members bring in their personal projects to get access to equipment, support and company, while others are more focused on group activity such as making items for re-sale or getting involved in community projects such as refurbishing play equipment. But all Sheds have the overall aim of keeping men healthier and happier for longer by offering people greater purpose, a sense of achievement and opportunities for social interaction with each other and the wider community. Much of the learning behind the development of Men’s Sheds across the UK comes from Australia where there are close to 1,000 Sheds, up from 300 just four years ago. In Australia, 90% of Sheds have no paid staff. They are run entirely by the members. In the UK, there are two broad models for getting Sheds started. 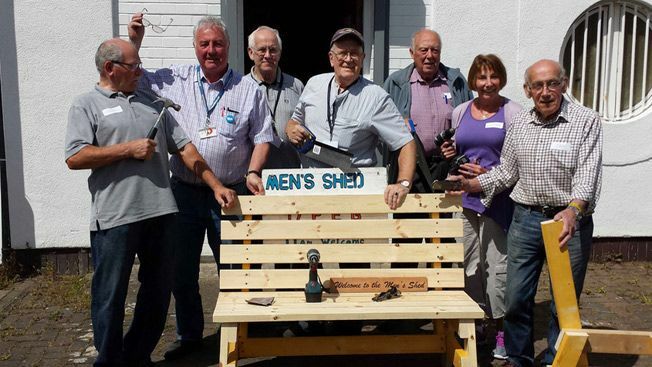 In a “hosted model” an agency may second staff and other resources, including premises, to bring would-be members together – exemplified by the Men in Sheds programme pioneered by Age UK. The second and most common is the “bottom-up” model where a group of men come together and plan the development of a local Shed themselves. Moving this idea forward involves a lot of discussion locally, adopting a constitution, getting some funding and most difficult, finding premises. 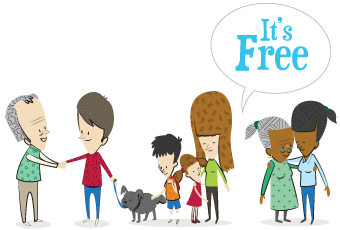 Generally the tools required can be found from within the community and this whole approach can mean that volunteer–run Sheds can cost as little as £1500 to £8000 a year to run. Some Sheds move from being hosted to independence after a number of years. The UK Men’s Sheds Association (UKMSA) was formed in March 2013 to promote and support the development of Men’s Sheds. It connects interested individuals at the local level to seed the creation of new Sheds, advises new and existing Sheds and supports network development at regional and national levels. The UKMSA also aims to represent the interests of Men’s Sheds with national policy makers and influencers and raise their profile through the national media. In May 2012 there were 12 sheds in existence in the UK. Three years later the number of planned and existing Sheds was over 220, having more than doubled during 2014/15. Shed memberships range from 10- 140 with an average of 20+. Most are open two or three days a week, some six days a week and others for just a few hours. In general, Sheds appeal to men at a certain age and stage in their lives – following unemployment or retirement for example – when they can feel disconnected particularly if their status and identity has been closely tied-up with their paid employment. This dislocation can also follow bereavement, divorce, family moving away or a move to a new home. It isn’t always banter though and sometimes, over the workbench or the teapot, if trust is established the talk can go deeper even into health and relationships. In the Australian Sheds they recognise that men talk “shoulder-to-shoulder, not face-to-face”. You can read the latest news and hear about new articles in our regular free newsletter. Sign up by joining the family below.